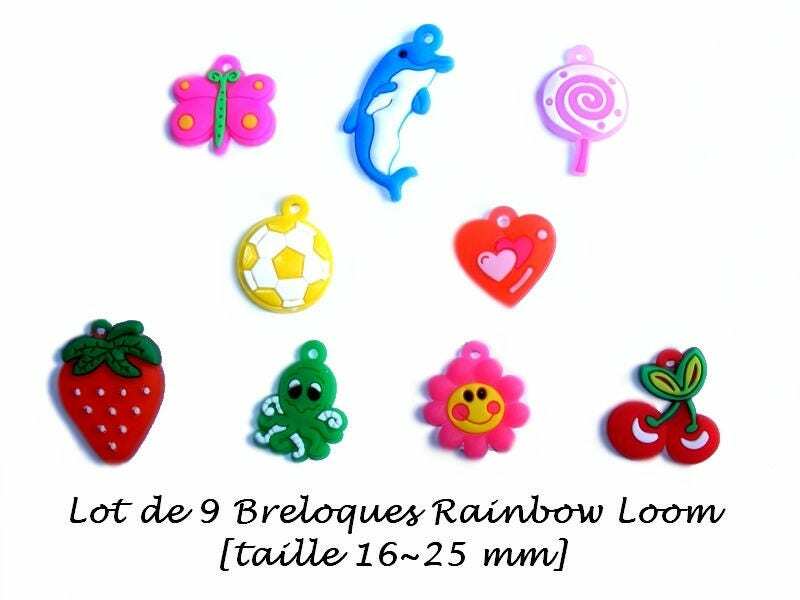 Set of 9 charms for stretch bracelets [Rainbow Loom. 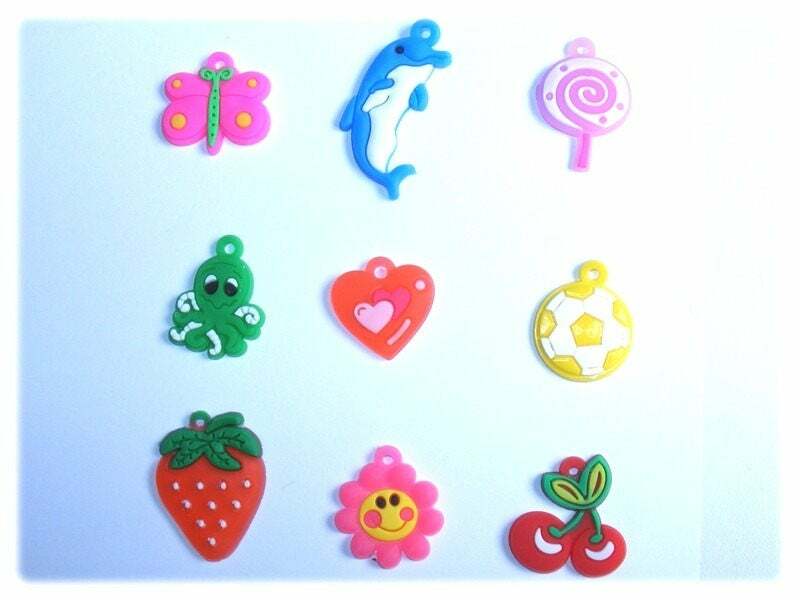 Charms to personalize your creations in elastic. Creative idea: put your charm at the end of creation on elastic security for large bracelets or in the middle of the small type fishtail bracelets.